Through this guide introducing 3D printing, discover the basics of 3D printing, operation of the machines, videos to view 3D printing, the steps to print in 3D, and, finally, a list of all the 3D printer and modelling software options to create your models before printing. This guide is an introduction of 3D printing for the uninitiated. 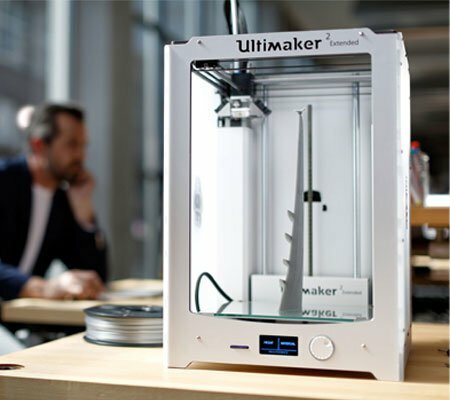 If you are already familiar with 3D printing, you can read our pro guides on the criteria for selecting a 3D printer or the 3D printing consumables guide. You have certainly heard about it in the newspapers, on TV or even through a friend at the forefront of technology: the 3D printing wave is sweeping across the world and arriving on the doorstep of individuals and professionals, where it's becoming essential. Many already consider it as the 4th industrial revolution, as this breakthrough technology has the power to revolutionise the way we produce things. 3D printing is not new, but it has now become financially and technically accessible to the greatest number of people. In a world where our needs are increasingly specific, a world in which responsiveness and adaptability are key, and wherein customisation is a fast growing trend, 3D printing technology is becoming a must for everyone, and essential in the professional world. 3D printing allows you to make all the 3-dimensional objects you want, almost as simply as printing in "2D" on your office paper printer... You provide the file to print (a downloaded 3D model, or your creation), make some adjustments and start printing! First, you must provide a model (for example, an STL file) to your printer so that it knows what it needs to print. Once the file containing the model has been sent to your 3D printer, the second step is to insert the 3D filament of material into the print head (called an extruder). This filament will then be heated and deposited on the printing bed in a succession of horizontal layers of plastic like a mille-feuille; a 3D print is, therefore, a succession of hundreds of (very) thin layers of material, each on top of the others. SLA 3D printers (stereolithography) have also begun arriving in desktop format, lead by the pioneer, Formlabs. These printers work on a fundamentally similar principle (layer sequence) that's technically differently. In the case of SLA 3D printers, a laser cures a liquid resin, layer by layer, until the final object is obtained. What are the steps to print in 3D? Draw your 3D model using suitable software such as Google Sketchup, blender, 3DS Max or other software (see bottom of page). Scan your objects or friends in order to replicate them, with or without having customised the model previously obtained. On sites like Thingiverse, you can download tens of thousands of 3D models for free. Your 3D model is an STL file; all you have left to do is import it into your 3D printer software (Repetier, Makerware, Cura, etc.). You can download this software for free from the Internet. Open your STL file with the software that came with your 3D printer. You can then view and, if necessary, move it on the platform, make it bigger or smaller. It is also an opportunity to check your equipment: printing bed at the right level, connections, printer stability. Connect your printer to your computer (USB cable, SD card) and then insert the 3D filament into the print head or extruder. All you have left to do is print! The printer will then heat the bed and the nozzle and begin printing your 3D model. The print head will melt the filament and move to place it on the bed in order to create your three dimensional object. The 3D printing duration will depend on the size and settings of your model. Dual extrusion requires two 3D files. Each one will be assigned to a print head via the software. This type of complex printing requires some experience in 3D printing. What can I print with my 3D printer? 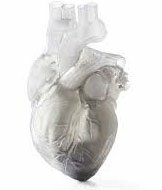 Medicine: Manufacture of made-to-measure prosthetics and replacement organs without the risk of rejection (bioprinting). Aerospace: Printing nutritious dough in real shapes (croissants, steak, etc. ); space base prints, spare parts etc. But also in building, artistic, food-processing, automotive, aeronautics, film, education, fashion industries, and much more! Custom toys / games for your children, or for you: toys, construction games, cosplay (costume accessories), custom dice, game figurines (toy soldiers, figurines for custom games like Warhammers, D&D, etc.). Unique decorative items: vases, candle holders, lamp holders, clocks, photo, painting or mirror frames, key chains, bookends, coat racks, curtain rod tips, unique mobile phone cases, figurines, etc. Kitchen: cups and mugs, cake pans of all shapes, bottle openers, ice cube trays, cutlery handles, custom cookie cutters, etc. Prototypes to finally easily bring your ideas and inventions to life, validate/refine your projects, packaging, etc. There are free and paid 3D model databases. Here are three of the largest and most popular ones. You will find many others on the internet! thingiverse.com : belonging to the manufacturer Makerbot, Thingiverse is the most famous database of STL files, and completely free! Here you will find an abundance of creations, and probably inspiration too, as there are many examples. Digitalstore.makerbot.com : this is Makerbot's database of paid models. The models are available at prices generally ranging from $1 to $50. cults3d.com : Website of high-quality files to download, free or paid. sketchup.com : free and complete software with many tutorials available on YouTube. It lets you create simple and complex models. Ideal for designing models. blender.org: free, high performance 3D design software with many options and, therefore, not very accessible ... For experienced creators. 3DStudio Max (3ds Max): very complete and powerful paid 3D animation and modelling software. These lists are far from exhaustive. You can find many other free and paid 3D design software, and many 3D model websites by searching a bit on the web.